My Papaw always said, “It will rain again…some day.” And it did. I know some folks got way too much, but the nearly five inches I got came so slowly that it barely ran off at all. Here at the house the ditches never flowed and my dry cypress swamp out front didn’t catch a single drop. 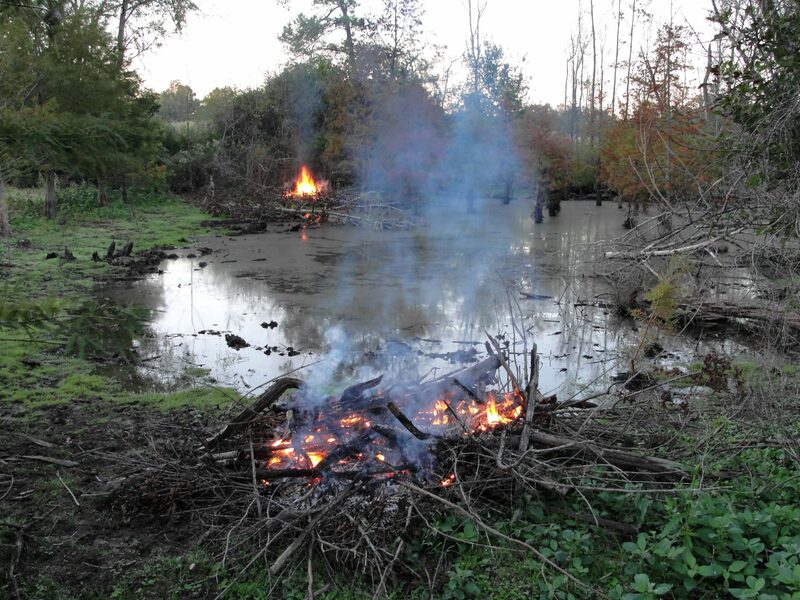 My current cypress swamp project behind Miss Lou’s old house nearby did catch some however. It’s amazing to think it was overflowing in the spring, bone dry several weeks ago, and now holding a bit of water again with more on the way and all burn bans lifted. I suspect it will be overflowing again by spring. Unfortunately it looks like drought to flood may be our new norm. Oh how I love cypress trees. Though there are precious few old ones left, these deciduous coniferous relics of the dinosaur age can grow to immense sizes and live over a thousand years. They are close relatives of the redwoods in California, but unfortunately almost all were cut in their native South for the “eternal” rot resistant wood within. A week ago I was admiring the pleached allée of weeping baldcypress that connects the Mast Arboretum to the Ruby Mize Azalea Garden at Stephen F. Austin State University in Nacogdoches and used the word “poetic” to describe the passageway, along with a plethora of other admirable adjectives. One of the student workers with me said, “How can a tree be poetic?” Since his major is horticulture, I pointed out that horticulture was half art and half science and then noted that all art was poetry. Heck, in my opinion, ALL is poetry (and art), period. 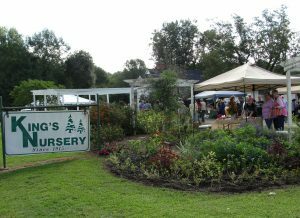 And since he’s a former forestry major, I asked him if he was familiar with Joyce Kilmer’s famous “I think that I shall never see, a poem lovely as a tree” lyric and made him look it up on his “smart” phone and read it to me like an Arbor Day school girl. He obliged and decided not to ask me any more questions. Though lots of critics mock Kilmer’s poetry, I doubt any of them have a 3,800 acre memorial forest named in their honor. Sadly Kilmer was killed by a sniper’s bullet in France during World War I. I can think of no greater legacy than leaving both poetry and trees behind. There’s only one darn fish in this pond. I could catch them better in the sink. My brother knew what an avid fisherman our Papaw was so I explained about being stuck on a long Toledo Bend fishing trip with him and no water to drink despite being surrounded by acres of it. We had also assured my Grandmother Emanis that we’d be bringing fish home to eat for supper that night. Sadly after hours of thirsty work we only produced a single fish. In those days before cell phones, we came home to find a sink full of thawed fish waiting to be cooked with my grandmother’s explanation, “I knew you wouldn’t catch anything.” It turns out the original rambling “Water, water, everywhere, nor any drop to drink” poem was about an ancient mariner chasing a lone albatross to shoot and dooming the crew to undrinkable sea water. My latest cypress swamp doesn’t look like much now, but one day the rusty fall foliage will glow against the future longleaf pine curtain behind. Thankfully my beloved cypress not only tolerates drought and flood but needs the alternating wet-dry conditions for the seeds to germinate. I plant some cypress trees and let their seed do the rest. I can’t help but think of Grandpa Jones in a Hee Haw skit when asked how on earth he carved squirrels out of blocks of wood. His reply was something like, “I just carve away anything that doesn’t look like a squirrel.” That’s exactly how I create landscape views. I envision a future “picture” in my head and don’t stop until I can see it. 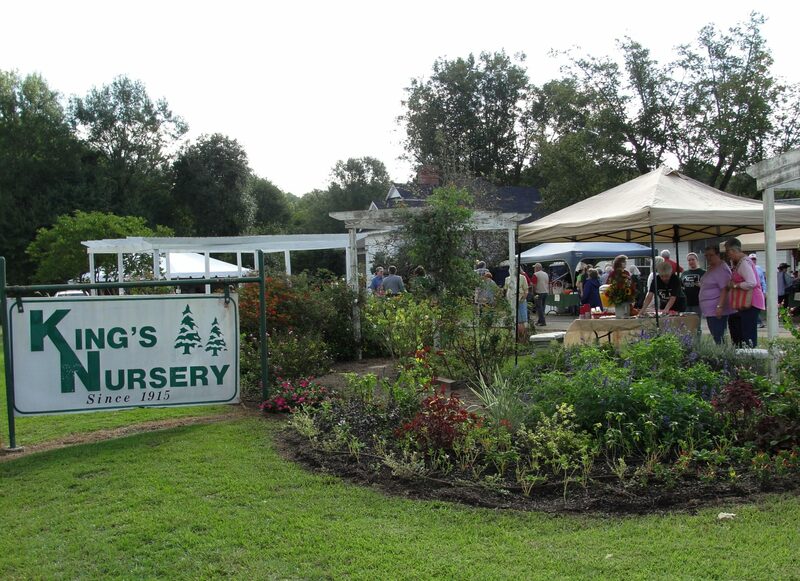 In addition to another successful fall plant sale at SFA, October also saw me at the King’s Nursery 100th anniversary celebration in little Tenaha, Texas. 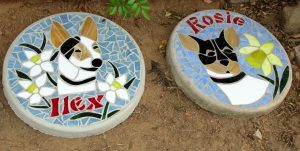 The celebration brought a number of Texas Rose Rustlers to King’s including my friend and fellow dog lover Becky Smith who presented me with a beautiful memorial stepping stone for my late Ilex. My roses and many other plants took a beating during the summer drought but I hope to have a new rose garden finished in time for the release of the rose rustler book Dr. Welch and I are finishing up for Texas A&M Press. We are gathering photographic images now. My new rose garden will be behind my old house where my “crown tire parterre” existed for years. Though drought and white flies took their toll, I did manage to harvest a decent crop of fall tomatoes. 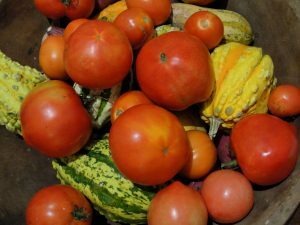 Tomatoes, peas, and zinnias are the only things I’ve produced lately. I do have a beautiful crop of mixed turnip and mustard greens that will be ready to pick any day. They are so delicate tasting when the leaves are tender and the weather is cool. Some smoked tasso from Louisiana will add the perfect compliment. Just as soon as I have time I will remove my zinnias and put in my fall cabbage crop. Fresh picked cabbage is so sweet and tasty! 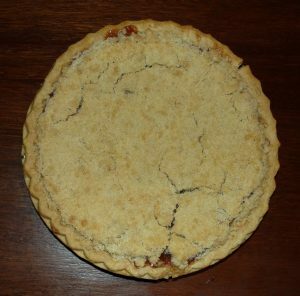 Speaking of cooking and eating, I learned to make apple pie this summer. I’ve never been a huge fan of fruit pies and cobblers but since it’s an “All American” pie and my friends and family like it, I decided to add it to my repertoire. I’m partial to crumb toppings, so that’s what I’m going with.